Wixel programmable USB wireless module, bottom view with US quarter for size reference. The Wixel Configuration Utility with 2 Wixels connected and an App file open. Directly connect the Wixel to a PC to create a wireless USB dongle. Add USB connectivity to your project via the Wixel. Add wireless capabilities to a remote, self-powered device. A single Wixel can be used as a computer-interface device, such as a USB-to-serial adapter, and it can even serve as the main controller for your system. Connecting the Wixel to a computer requires a USB A to mini-B cable (not included). Two or more modules are required to take advantage of the Wixel’s wireless capabilities. To help you get started with wireless communication, we offer a combination deal that includes two Wixels and a USB A to mini-B cable. Advanced users can modify apps to suit the needs of their specific projects, and the apps serve as examples for programming the CC2511. The Pololu Wixel SDK Repository on GitHub is the central location for obtaining source code and sharing modifications with the community. Wireless PC control of a 3pi robot using a pair of Wixels. 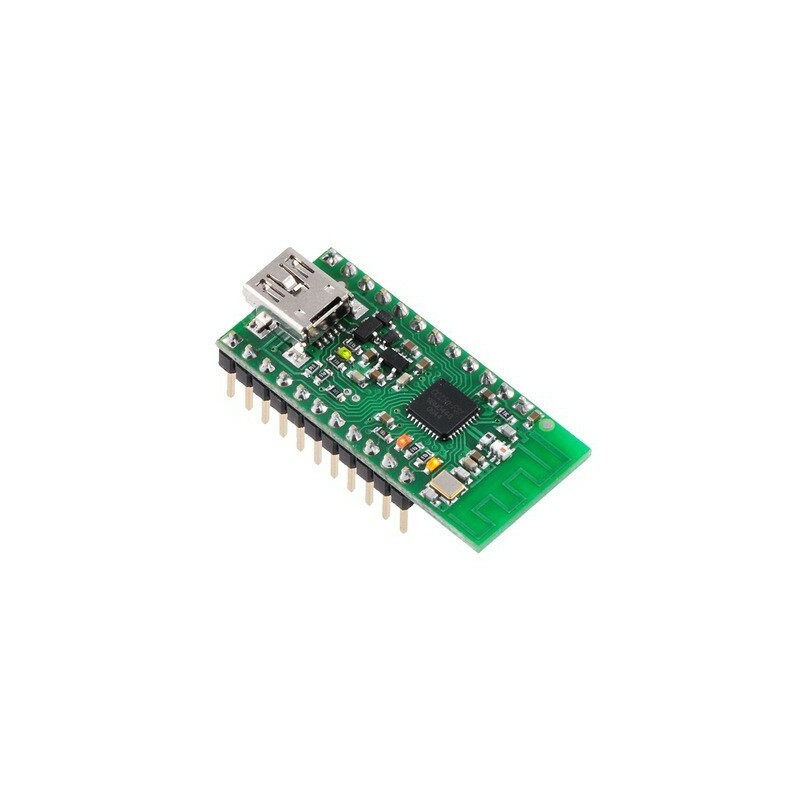 Our Wireless Serial App turns a single Wixel into a USB-to-serial adapter and a pair of Wixels into a wireless USB/TTL serial link for communication between two microcontrollers (like an XBee link) or between a PC and a microcontroller. Among many other things, you can use this versatile app to enable communication between two robots or to remotely monitor or control a robot from a computer. A special version of this app is designed for use with our Wixel shield for Arduino, which makes it easy to add wireless capabilities (including wireless programmability) to an Arduino or Arduino clone. Using an RF bit rate of 350 kbps, the serial app is capable of transmitting or receiving up to 10 KB of data per second and can reach a range of approximately 50 feet (under typical conditions indoors), and multiple serial links can be used simultaneously on different channels. The fully-assembled version ships with its header pins soldered in, so it is ready to be connected to your project with no soldering required. The partial kit version ships with everything installed except the header pins. A 25?1 straight 0.1" male header strip is included as shown in the right picture below. This version is ideal for compact installations and allows flexibility in choice of connectors. 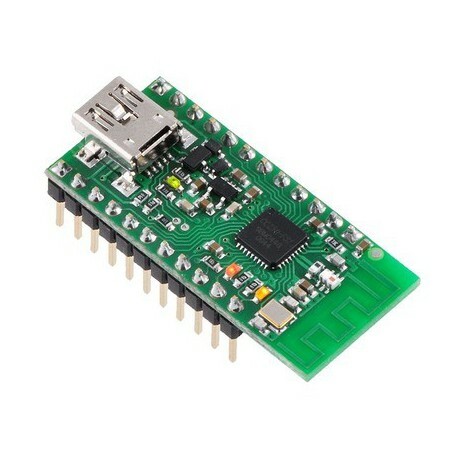 Wixel programmable USB wireless module (fully assembled). Wixel programmable USB wireless module (without header pins installed).